Two Chamberlain Super 70 Diesels in tandem set up for some serious work. Seen at the National Machinery Ralley September 2011 . 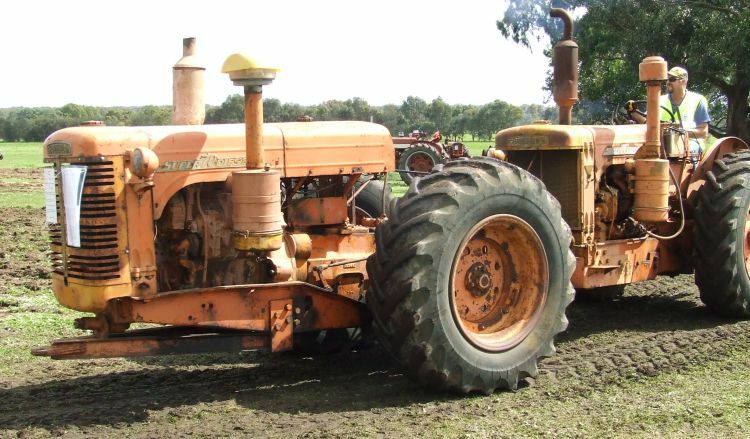 The Western Australia based Chamberlain Industries Limited entered the tractor scene in 1949 and, during a somewhat turbulent first decade, produced a range of excellent tractors eminently suited to broadacre grain fields. The first Chamberlain tractor offered to Australia’s farmers was the 40K, powered by the firm’s own twin cylinder, transversely mounted, horizontally opposed 40 hp engine designed to operate on low priced power kerosene. Not only was the engine unique in design, but went against the global trend of equipping tractors with inline multicylinder power units. Even John Deere, Lanz and Marshall were about to abandon the concept of their idiosyncratic single and twin cylinder engines. Two years following the introduction of the 40K, the 40KA became available. The two models were virtually identical, but the 40KA incorporated a closer range of gear speeds in its nine speed gearbox. The tractors were true heavyweights, tipping the scales at 8500 pounds (3855 kg). 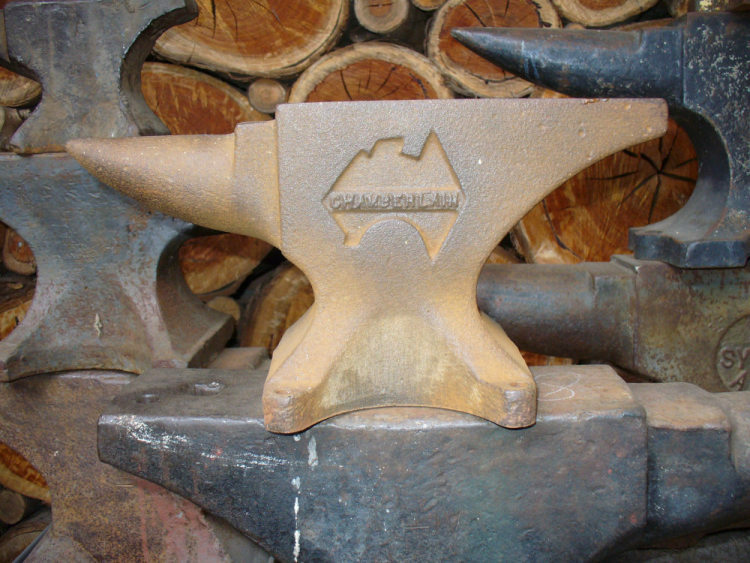 They proved popular, particularly in Western Australia. But by the time the model was superseded in 1955, actual sales amounted to only 2000 in total, well short of the 1000 units per annum that had been initially envisaged. If you can provide pictures of other spanners, more info or perhaps a example of a Chamberlain spanner we would like to hear from you, contact via the link bottom right. Chamberlain Spanner - Shown and Listed in Service Manual for Champion, Canelander and Crusader. 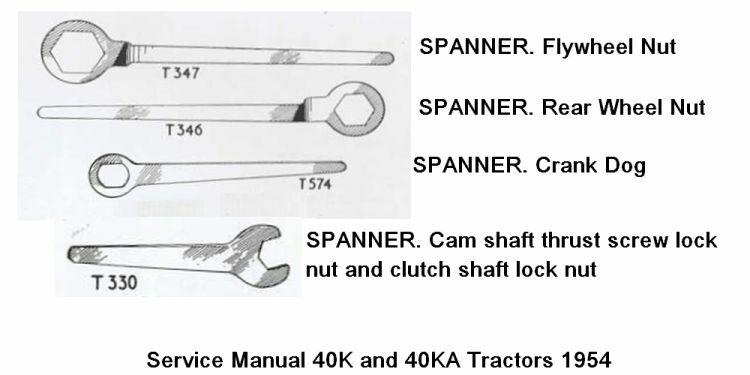 Candidate for a Chamberlain spanner for 40K & 40KA tractors as shown below in a parts list. This could be either T346 or T347. Can anyone confirm the sizes of the Flywheel Nut and the Rear Wheel Nut of these tractors?